We offer a wide range of pampering parties. 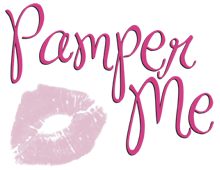 Hens, Friends, Weddings, Work colleagues; Pamper Me have got the perfect Package for you! Your front room, hotel or place of work, wherever you want it - we bring the spa to you! Staying in is the new going out! Perfect for any age young or old. Every girl deserves to be treated like a cover girl for the day! Ladies... Corporate hospitality has just reached another level. PAMPERING! For hotel guests requiring beauty or massage treatments - our therapists will come to you.